REMOVE the confusion & guessing in trying to find the right mattress! PLUS! Get a $50 OFF Exclusive Voucher just for using one of the two options below! MATCH Your SLEEP STYLE With The Mattress That Will Give You BETTER SLEEP. SIDE Sleeper is the most common sleep style. As a side sleeper you should look for a mattress that doesn't add much stress on your shoulders and hips. Soft but not too soft is the key here. Generally a medium-soft mattress is a good choice for a side sleeper. The soft mattress will allow you sink, relieving stress on the key body parts and accommodating the body's natural curve. Suggestion: Consider Firm Pillow Top, Plush or Plush Firm mattresses. Tip: Mattress “feel” is very subjective, as one individuals ‘soft’ can literally feel like a “firm” to another individual. With that in mind, please make sure you come in to one of our stores to actually find the best comfort feel..
BACK Sleeper needs to focus on lower back support in a mattress. Generally you will want to avoid stiff springs due to the push against the spine and not providing the correct support. A mattress too soft will not give the support you will need. A medium-firm mattress is what you will probably be looking at. Suggestion: Consider Plush Firm or Firm mattresses. STOMACH Sleeper will require a firmer and stiffer mattress so the body doesn't sink. A soft mattress will let the body sink unslinging the spine and causing discomfort in the lower back. If you are a stomach sleeper, you may be suffering from lower back pain which prompts you to sleep in a style where spine alignment is at a minimum. A firm mattress is what you will probably be looking at. Suggestion: Consider Firm or Extra Firm mattresses. COMINATION Sleeper is one that might be a side sleeper, but sometimes work your way into a back or stomach position. Look for a mattress that will offer enough support in any position. Make sure it’s soft enough for side sleeping, but not too soft for stomach positions. Suggestion: Consider Firm Pillow Top, Plush, Plush Firm or Firm mattresses. COUPLES Mattress can be quite difficult since the taste in mattress type can differ. One may be a back sleeper and the other may be a side sleeper. One might sleep peacefully while the other tosses and turns throughout the night. Make sure the mattress can support both sleepers’ preferred style of resting, and pay attention to motion transfer – you don’t want to get disturbed throughout the night. 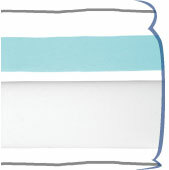 Consider mattresses with higher coil count, layers of thick memory foam (in coil bed) or a full memory foam mattress. Check out our mattress buying guide. Click a tab to discover the features and benefits of foam, pocket coil, and inner spring mattresses. Foam mattresses are unique in that there are no springs in the bed at all, just different types of foam.The mattress achieves the desired feel by using a variety of high quality foam, gel memory foam, or latex.Foam mattresses are one of the most comfortable and longest lasting mattresses because they conform to your body for excellent support and pressure relief. 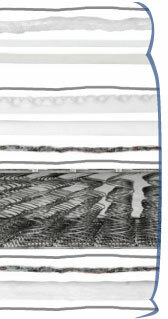 This is the original and most common type of mattress support system consisting of coils or springs connected together using wires and is very durable.A variety of foam layers are then added for perfect comfort.This is also the most economical support in mattresses and is available in a wide variety of price points. 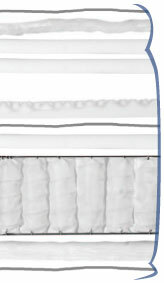 Pocketed coil mattresses allow each coil to move independently so they can contour to your body for ideal support because each coil is wrapped individually and then joined together using glue.This is the best coil design for deferring motion transfer between bed partners and is very durable so you have a restful, undisturbed night of sleep. Prompt, friendly delivery & removal of your mattress (upon request). Our Best Price Guarantee ensures you'll get the best price around. A1 has the highest customer ratings in the state of WI by taking care of our customers. We have several great financing options to make sure better sleep is in your reach.